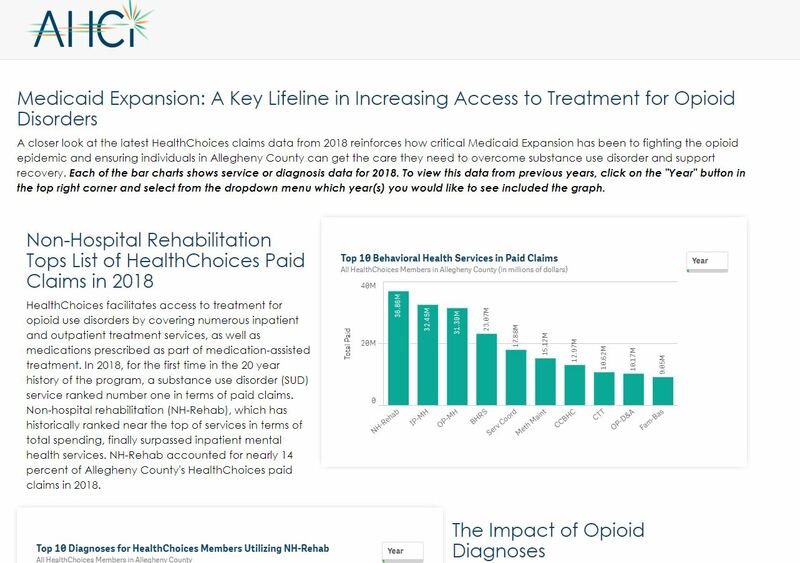 The Analysis Hub is your home for more advanced analysis regarding the behavioral health system in Allegheny County. Data is the foundation upon which quality behavioral health programs are developed and continuously monitored for improvement. In an effort to ensure that system stakeholders can access the information they need to evaluate and improve services, AHCI has developed a series of dashboards containing the latest data on the HealthChoices member population, service utilization, and key quality metrics. These customizable dashboards replace AHCI’s Quarterly Reports and provide users with the data needed to answer key questions such as: Who is eligible for HealthChoices? Where do they live? What services are HealthChoices members receiving? And many more! Explore AHCI’s latest web-based tools using the links below. If you have questions or need information, contact dashboard@ahci.org. For a reference guide of terminology, click here. 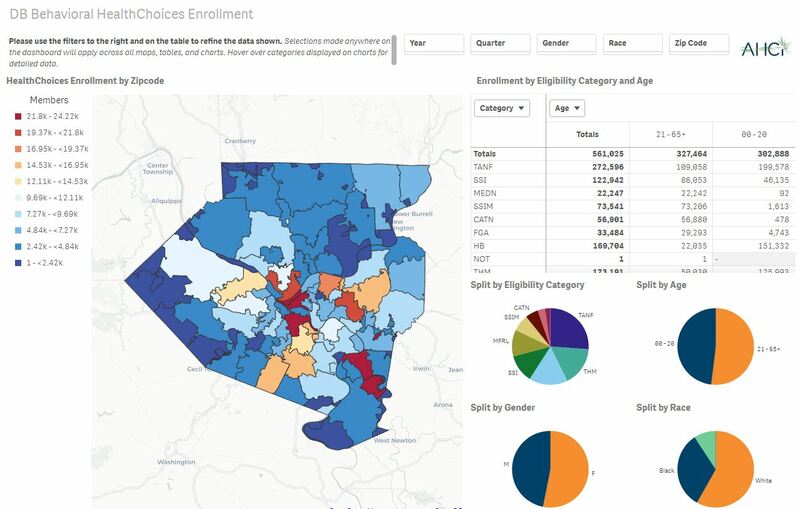 This dashboard displays information on the HealthChoices eligible population including demographics and category of assistance. 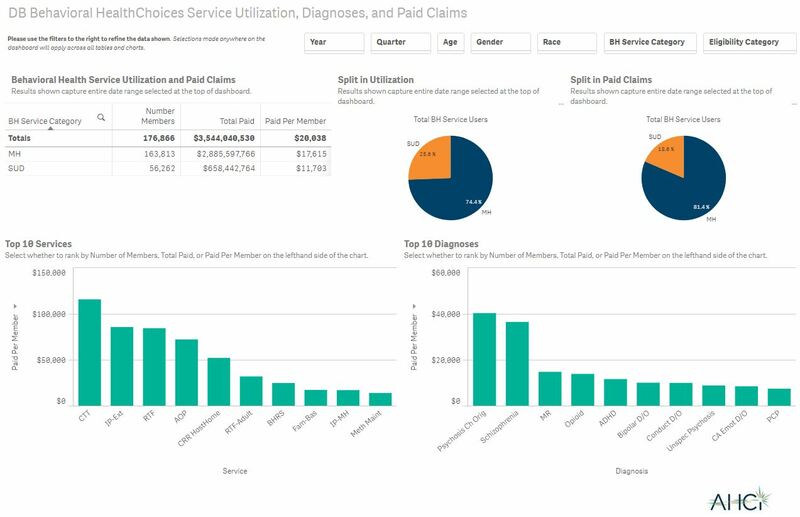 This dashboard presents information on behavioral health service utilization, diagnoses, and paid claims for the HealthChoices member population. 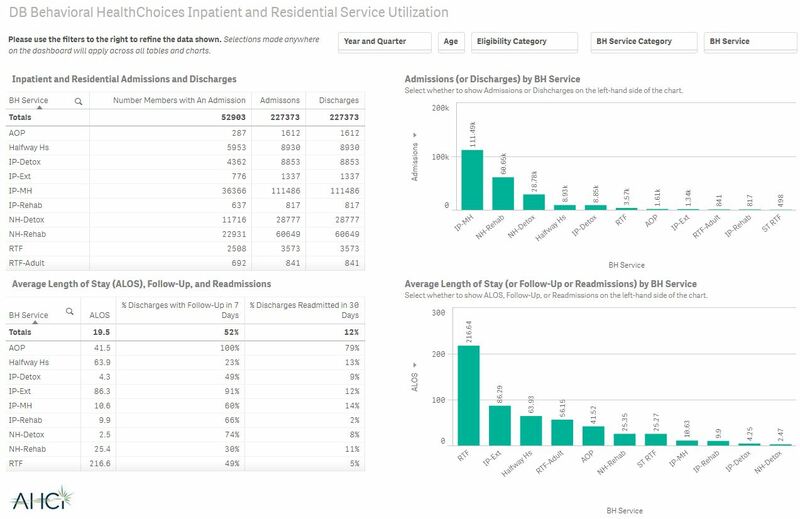 This dashboard presents information on inpatient and residential service utilization for the HealthChoices member population. This interactive discussion highlights the role of Medicaid Expansion in combatting the opioid epidemic and ensuring access to recovery-oriented services.